Greg is the founder and Practice Principal of Kiewa Valley Sports and Spinal Physiotherapy and Kiewa Valley Clinical Pilates. Graduating from the University of Melbourne with a Bachelor of Physiotherapy with Honours in 1998, Greg immediately started pursuing his area of special interest, namely the diagnosis and treatment of spinal and musculoskeletal problems. He rapidly became a credentialed McKenzie therapist and in 2002 and 2003 travelled overseas to the USA and Italy to undertake his post-graduate Diploma in Mechanical Diagnosis and Therapy, at the time becoming one of the youngest physiotherapists in the world to achieve this feat. 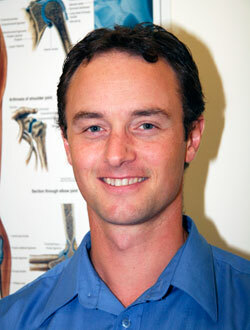 Greg is one of only 15 physiotherapists in Australia to hold this qualification and the only one in North East Victoria. Greg is currently the Secretary of the McKenzie Institute Australia, and a member of the Australian Physiotherapy Association and Sports Medicine Australia. Greg has lectured and presented to physiotherapists and doctors, including live patient demonstrations, widely around Victoria and southern NSW. Greg's other interests include skiing, kayaking, fishing and playing cricket for Mount Beauty United Cricket Club. Greg represented Australia at the World Junior Cross Country Skiing Championships in Sweden in 1995. 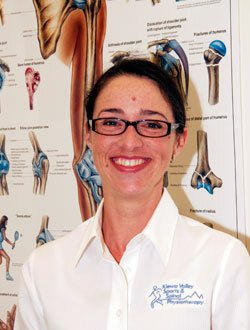 Fiona is our Clinical Pilates Physiotherapist. Joining our team in 2006, Fiona initially provided physiotherapy care along with education and training packages to industry. Fiona completed her degree at the University of Queensland in 1993 with a research based honours project examining elite dancers. She was also recognised for her outstanding academic achievement, receiving a prestigious University Medal. Fiona is a Level 3 certified Clinical Pilates Instructor from DMA Clinical Pilates in Melbourne. Fiona worked at the Royal Brisbane Hospital before travelling and working overseas in locations including Northern Ireland, England and Africa. On her return to Australia she moved to rural Victoria, working in the public sector as a physiotherapist and as a manager of allied health and aged care services. A former dancer with the Australian Youth Ballet, Fiona has an intimate knowledge of the demands of elite level performance. As a self described 'very average' skier, Fiona also understands the needs of those who participate in recreation for pure enjoyment.